We run most of our activities at well-established and often-used sites. These sites have good, low-risk access and have previous risk assessments made on them. 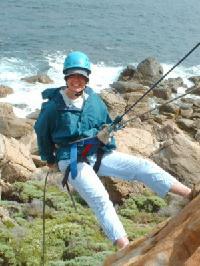 Abseiling, Rock Climbing and Caving sites are under the management of the Department of Environment and Conservation (DEC). Artificial anchors such as bolts and bollards are inspected and tested by certified contractors on a regular basis. Geologist contractors inspect granite and limestone cliff sites on a regular basis. Certified geologist contractors and DEC staff inspect cave roofs and any dangerous areas are made off limits or covered walkways are constructed. DEC sites are also checked regularly by their staff for deadfall risk from tree limbs as well as suspect ladders, stairs and walkways. We have site plans for all the sites that we use. These plans details low-risk access to the site, any areas of risk at the site and emergency communication and access points.